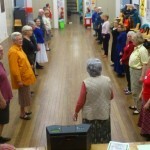 The wild weather in Sydney did not deter dancers from coming to enjoy Morag’s teaching of The Laird of Milton’s Daughter, Orwell Lodge Strathspey, Red House, The Silver Tassie and The Black Mountain Reel. 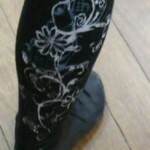 Looking forward to the Hunter Valley Ball on Saturday. 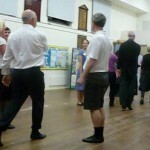 Despite a horrid wet and windy night, lots of keen dancers were at class including visitors. Morag’s programme used dances from the Hunter Valley Ball programme – Blue Bonnets, Catch the Wind, Staffin Harvest, Scott Meikle and the Hunter Valley Strathspey. Morag’s first night of teaching on Tuesday saw three sets enjoy dancing EH37AF, The White Cockade, New Park, Farewell to Helensburgh and John of Bon Accord. 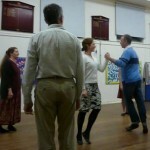 The night was a great mix of dancing, technique and fun!